Florida State Record: 96 lbs. Slot Limit: 14" to 24" with one fish over 24"
Black drum are bottom dwellers and we catch them virtually year-round on inshore fishing charters. 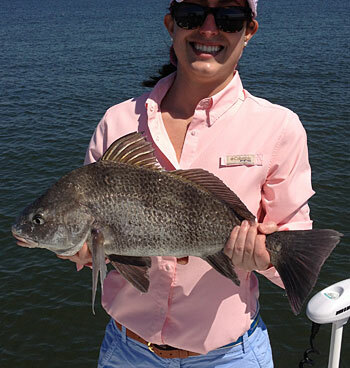 Good bait to use for Black Drum include shrimp, crabs, and small baitfish. Try to keep the bait on the bottom where they feed most.